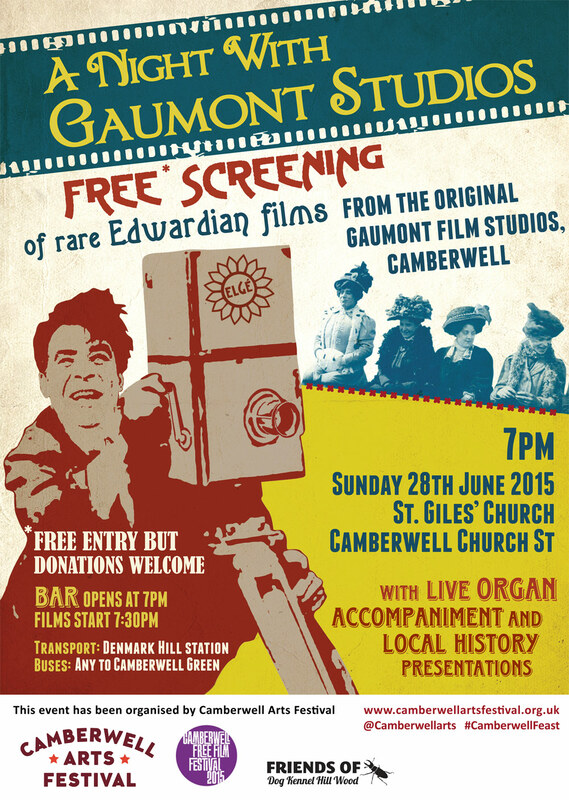 We are pleased to announce that as part of the closing event for Camberwell Arts Festival we will be showing the Gaumont films again. The event is on Sunday 28th June at 7pm in St Giles’ church in Camberwell. The church organ will be accompanying the films. There is a bar in the church and there will be an interval. Free entry though donations are welcome on the door.